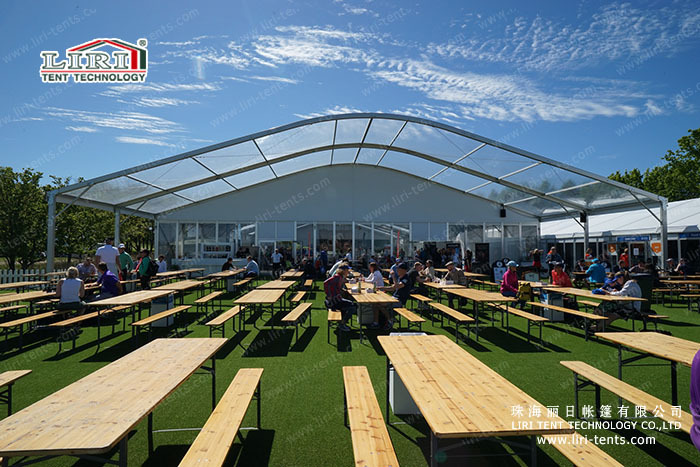 When you holding an event outdoor, many factors you need to take into consideration. The bad weather, strong winds, VIP rooms, catering place, dancing door and so on. When thinking about this, a tent will be very helpful in your part. 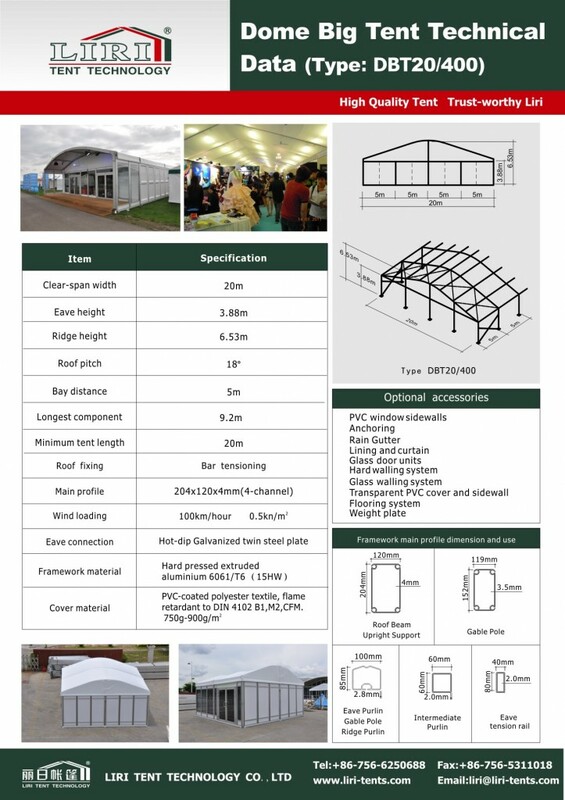 Tents have many design and shapes, if you want to make your tent more speical, you can think about the dome shape tent, clear span tent 20m with 5m bay distance, it is very popular for 1000 people. The side height will be 4m, and it can fix with different accessories for different purpose.